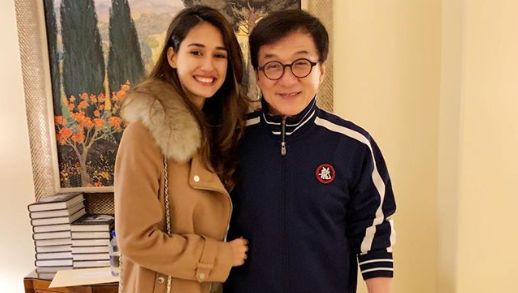 Disha Patani Who Knows How to make her Fans happy , Not about Photoshoots done by her , but also she shows her generosity to her co actors, now disha patani wishes the one and only jackie chan on his birthday . By her post ,fans gone crazy and Appreciated her for this post and liked her post and those likes crossed more than 500k . This Baaghi Actress Currently Busy with “Bharat” .Pairing Opposite Super Star Salman Khan , along with Katrina Kaif .